We actually looked at this service around the turn of the year, but with so many new geegeez subscribers coming on board and a message from the vendors that the selection procedure had been revamped/improved, I was keen to see how they performed now. Our original review of the Horse Racing Network service showed a creditable 15.3% strike rate and an overall ROI of 8.6% and our reviewer was happy to give it the thumbs up : in fact, you can read his full review and thoughts right here. So, I'm not entirely convinced that there has been a massive upturn in results, but I'm open to being proved wrong! To see if I am wrong, we will now review the Horse Racing Network service for a period of 60 betting days using our normal nominal £10 per point stake. Not too much to say about this system other than to urge you sign up and take the ride. Any system that has an RoI 0f over 50% and delivers 288pts profit in 60 days has got to be a recommended system. Admin wise everything worked like clockwork. Bets arrived the evening before racing. There were bets every day - a first for any system I have reviewed. I can make no comment on customer service as none was needed. Daily outlay was often quite large with between 1 and 7 pts bet on individual selections. The largest daily stake was £170.00. The accumulators ranged from Doubles to Goliaths. For the purposes of this review I counted any accumulator that resulted in a return fom the bookie as a win, even though the return may not have fully covered the stake money. The system spent the first week bouncing in and out of profit (+/-£50) then steadily took off rising above £2,000 by day 23. Since then the progress has slowed some what but the racing has not always been of the highest quality as the flat season winds down. ...536 bets at a cost of 601pts, from which 73 were profitable (13.62% SR) producing profits of 51pts at an ROI of 9.51%... So, I'm not entirely convinced that there has been a massive upturn in results, but I'm open to being proved wrong!" I think you have been Chris, 85/407, 20.88% SR; 288.45 pts profit. Definitely a recommend from me. 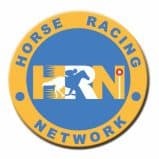 "Horse Racing Network provides daily selections direct to your inbox, setting out the selections for the next day's races with an in depth write up justifying the criteria for each selection. Built upon years of profit and research, Horse Racing Network specialises in finding the value selections and making profits month on month and all tips are proofed to prove that it's one of the best tipping services in the UK. Horse Racing Network service provides between 2-6 selections per day typically, focusing on small bets at large prices to provide an extremely large ROI. Alongside the daily e-mails, as part of the membership package you are free to join a WhatsApp community of members to discuss everything racing related." Looking at the Horse Racing Network results from the last 12 months, we see 230 winning bets from 1355 bets (approx 26 bets per week) at a strike rate of 16.97%, producing profits of 259.29pts at an ROI of 19.14%. These are very healthy figures indeed and if reproduced over a geegeez trial, we would hope to see around 35-40 winners from 220-230 Horse Racing Network selections and profits in the region of 40-45pts. If that was to happen, then we'd definitely be happy! To see if this does happen, Ray Pearce will now review the Horse Racing Network service for a period of 60 betting days using our normal nominal £10 per point stake. What did we say at the start of this trial? "HRN results from the last 12 months, 230 wins from 1355 bets (approx 26 bets per week) S/R16.97%, producing profits of 259.29pts; ROI of 19.14%. To reproduce these over a geegeez trial we'd expect, 35-40 wins from 220-230 Horse Racing Network selections; and profit of 40-45pts. If that was to happen, then we'd definitely be happy!" So with a profit in the bank we're definitely not unhappy. There was an average of 4 bets a day at odds from 5/2 to 33/1, average odds of 12/1, 12 bets greater than 10/1: Of these there was 1 win at 20/1; 3 at 16/1 and 3 at 14/1. The only admin issue is a degree of uncertainty about whether all the bets for the day have been received. There is no set time to receive the bets which come from three sources :- TV, RAS & Shark; TV bets were usually sent the night before racing but not necessarily, RAS and Shark bets occasionally on the day before racing but normally during the morning on race day,between 08.00 and 11.00;sometimes with the reasoning for the selection. There may be a notice of a no bet for a system but not always. As may be expected from the 15% Strike Rate this was a real roller coaster ride. It started with a comforting high, 10 pts profit from the first bet and 25pts in the bank by the end of day 2. A series of highs and lows between +.5 and 15pts until a 16 bet losing run took the bank into the red and to a low of -7.5pts at day 25. The biggest win of the review, a 2 pt win bet which was landed at 16/1, brought that run to an end and replenished the bank with 32pts. The fluctuations continued, always in the black and mostly more than 10pts up, despite a 21 bet losing run. The Geegeez review was completed with a flourish of four winning days and with 26pts in the bank. There were 128 TV bets;55 RAS bets & 33 Shark bets. TV had a S/R 15% and a 40pt profit; RAS 13% S/R & -20pts loss and Shark, 21% S/R & -3pts loss. With hindsight it can be seen that, for the period of our review, had just the TV bets been followed the bank would have almost doubled the profit but then, at the SPs used, just one placer winning for RAS or Shark could have put them in profit. At the monthly subscription rate you would have paid £90 and been £167 in profit with another three weeks of selections to come and paid for. Final thoughts; we've reviewed this system during the dark days of winter, its a roller coaster system but with a £500 bank and if you can stand 20+ bet losing runs, at 8.64% RoI, it looks to be a worthwhile investment. Recommended.